An eMarketer survey in six large cities in 2014 showed that the average time spent on watching TV decreased from 140 minutes in 2008 to 124 minutes daily in 2012. Meanwhile, the time spent on online connections increased from 44 minutes to 84 minutes. The “Social, Digital and Mobile Worldwide 2015” report of We Are Social showed that Vietnam has 40 million internet subscribers and 32 mobile internet users, including 20 million who have the habit of watching videos on mobile devices. 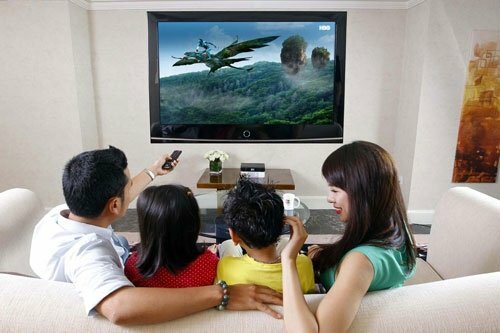 Mobile digital TV services have been provided in Vietnam since 2009, when 3G and wifi became popular. However, viewers could only watch TV in their web browser at a low speed. Only with the boom of smartphone, tablet and OTT app stores such as Viber, WhatApps later did OTT TV platforms begin to develop. In 2013, existing television channels such as VTV, HTV, VTC and SCTV began providing OTT TV services. Internet service providers also jumped on the bandwagon, including FPT Telecom with FPT Play service, VNPT with MyTV Net and VNG with Zing TV. Two years ago, VNPT launched online TV and entertainment service MyTV Net with 80 domestic channels and on-demand channels which provide films, TV shows, music stores, news stories, YouTube video clips and others. Meanwhile, FPT Play, with 100 channels, allows users to watch TVs on smartphones and tablets everywhere and at any time. It attracts 5.7 million regular users a month.